I caught some of Words and Music. I loved the "Slaughter on Tenth Avenue" number; Vera Ellen was sensational and Gene Kelly was, well, Gene Kelly. Next time it's on I'll record the whole thing - for the music numbers because the basic storyline seemed blah. If there was any gay code re Lorenz Hart, I sure missed it. But, heh, it's an MGM musical biography so who needs the truth? We've got great songs and dancing! The funny thing is in the movie Hart's love life stinks because of his height (?!) but in real life Mickey Rooney had wives galore and, according to a bio of Norma Shearer I read several years ago, was quite the *****man (I think their relationship was post-Irving). I grew up watching this movie and I think Mickey's height is a metaphor for homosexuality. In 1948 when you saw biographies a lot of things were taboo and not talked about besides homosexuality. In my study of American popular composers, it is often pointed out that Cole Porter was a homosexual and had an extremely fulfilling and prolific social and sexual life; in fact he was married to a rich socialite who helped him organize much of it. The fact that Larry Hart didn't have all those things has more to do with his personality, his social class, and anything else to do with his personal makeup-- religion, ethnicity etc. No, "Words and Music" wasn't able to deal with Lorenz Hart's homosexuality. The closest that they got was bringing in a girl (Betty Garrett) that he wasn't able to connect with. And, of course, his prolonged periods of being absent from the job. Where was he? What was he doing? Lorenz Hart did live with his mother. But they had separate apartments. So he did allow his gay lifestyle some range. "The funny thing is in the movie Hart's love life stinks because of his height (?!) but in real life Mickey Rooney had wives galore and, according to a bio of Norma Shearer I read several years ago, was quite the *****man (I think their relationship was post-Irving)." 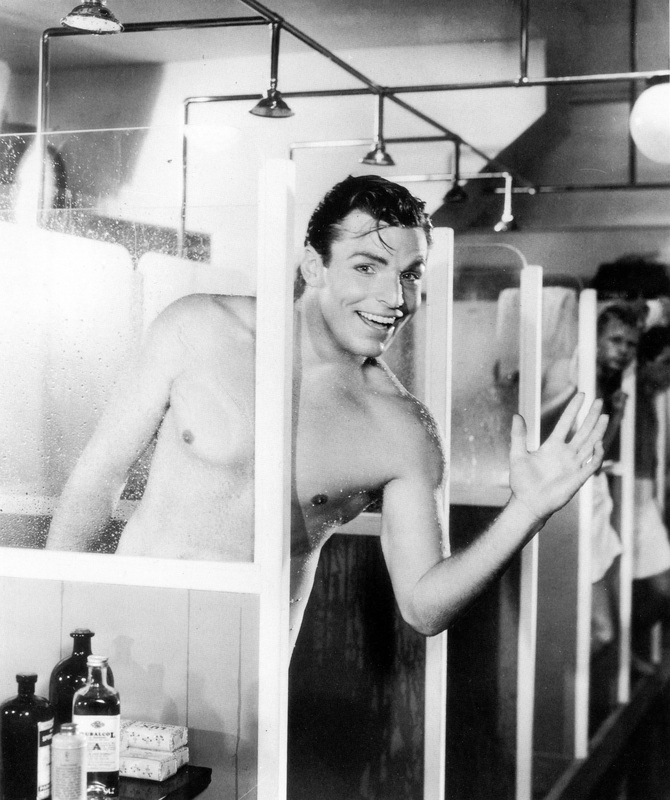 Oh yeah, he was cute (not great looking like Cary Grant or Robert Taylor) and certainly charming. There's a clip of a Louis B. Mayer pool party that's been shown in a few Judy Garland documentaries, in which Rooney's perfectly proportioned and compact body is on display. I'm sure he was pestered by women and men alike. I had a hard time trying to figure out how that diaper was constructed. And I love the guys standing around on the pedestals like Oscars. It looked like Myrna Loy was getting as high off the musk as from the opium pipe. I think somebody was having a gay old time designing this one- I mean is there any reason for the guy to be wearing that "diaper" ? Did they have jock straps in 1930's ? I noticed that the hero's chest and lower region was hairless. I did some research and jockstraps were invented in 1847- now why hasn't there been a movie about that? Yes, there was a Paramount spectacular from the mid-30's which starred Buster Crabbe and was properly called, "Jockstraps from Heaven"! A great musical number, thank you for reminding us! The funny thing about the football player sequence from " Best Little Whorehouse in Texas" is that the chorus boys look like they would be more interested in each other than the girls down at the ranch. Gay director Collin Higgins must have had a lot of fun staging and shooting this number. My favorite moment in WORDS AND MUSIC is when Mel Torme sings "Blue Moon" solo to Mickey while he is all depressed. At least Mel is trying to be his lover-crooner. "You knew just what I was there for." It's the closest that the film comes to grappling with the subject of Lorenz Hart's homosexuality. There are other hints here and there. Whenever Betty Garrett is chasing a man, something is questionable about his "interest" in her. She is moderately successful with Frankie Sinatra in TAKE ME OUT TO THE BALLGAME, but gets pretty frustrated with him in ON THE TOWN since he'd rather help his buddy (Gene Kelly being the ultimate "bro buddy" of Frankie in three films full of brotherly looooove) find the elusive Miss Turnstyle rather than make woo in a hot apartment. Even after she sends Gladys Kravitz, I mean Alice Pearce, to an "air conditioned movie", Frankie still isn't giving her his undivided attention. In NEPTUNE'S DAUGHTER, Red Skelton has some fun being Ricardo Montaban's masseur (cue shirtless shots of the hunk) and, of course, he is Betty's next quarry. Yet he does woo her a little more than Frankie and Mickey with some help from Spanish speaking records. Betty Garret was MGM's answer to gaydar. Yes, but as Betty as Hildy in ON THE TOWN stated, she always gets what she wants. Amusingly Esther Williams is a lot less reluctant with Ricardo during the "Baby It's Cold Outside" number than Red Skelton is with Betty during the same song. He is literally squirming out of her talons. She keeps taking off his jacket and hat (as a precursor to taking the rest off) and is literally on top of him as she turns off the light. This scene reminds me of how she conquers Frankie's Chip right inside the taxi cab in ON THE TOWN. Red's character Jack is very confusing in that picture. I guess he is merely a heterosexual man who is comfortable with his feminine side, having no trouble dressing in drag among the bathing beauties having their exercise routine (with Betty questioning if he's Jack's "sister"). Then again, the guys in ON THE TOWN also dress in drag as well, with Betty in their presence. She brings out a lot of their feminine sides. Red/Jack is semi-aggressive with her when pretending to be a Latin Lover and getting confused by her with Ricardo's José. Yet he tells his shirtless massage client José, rubbing his bare shoulders and chest, that he has never been with a woman before... thanks to Mother (!?). It feels like the writers initially wanted him to be the gay best friend of José, but had to find him an aggressive Betty so he can marry somebody in the finale. One thing I like about the Esther aquamusicals is how aggressive and independent a woman she is. She really should be wearing pants instead of high heels in this picture, playing a successful businesswoman working for, but not romancing, Keenan Wynn. She first meets Ricardo's José with his finger stuck in a glass, a rather... um... symbolic Freudian scene that has to be seen to be believed. You're right now that I think of it. It looks like Mel is singing directly to Mickey.